EDIT: There were some questions regarding how I use my monthly pages, so I’ve added this under the monthly plan picture. Below is the bullet journal key that I use. I posted this on the FB Bullet Journal Junkies group page awhile back and John Cooper has adapted it to his system as well. I only use squares (tasks), circles (events) and triangles (appointments). Fill them in when they’re complete, and half fill for tasks only that are in progress or incomplete. Cross through anything that’s cancelled. Signifiers are the same as Ryder Carroll’s (important, deadline), as well as bullet for ‘notes’. 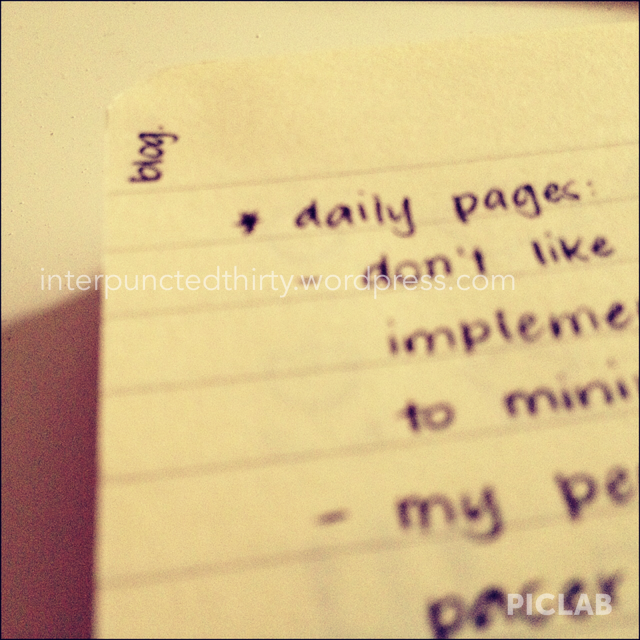 Migrated tasks are usually also accompanied by the date and/or time it was migrated to written in the margins. I also write ‘E’ (email) or ‘C’ (call) for specific tasks instead of writing it out over and over again. 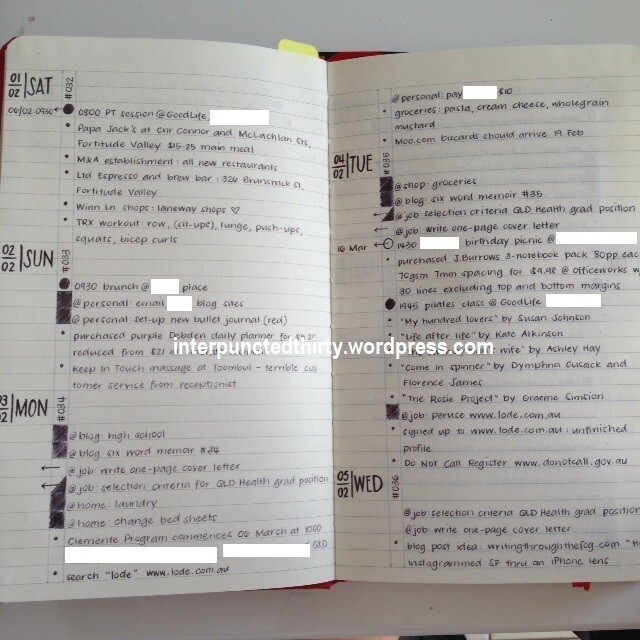 At the moment, I have two bullet journal systems running – one for personal life and one for work life. I reserve the ‘E’ and ‘C’ bullets mainly for work, but the system I’m explaining in this post is for my personal life. I’m not sharing the work bullet journal due to confidentiality reasons, but it’s more or less the same, except I use a Debden daily planner for this, instead of a conventional notebook. My personal bullet journal is now in a red Piccadilly notebook, which has, again, fallen apart, but I really can’t be bothered to fix. (Sidenote: I’m regretting buying so many the last time I went to Woolworths. This was part of the reasons why I wanted to transfer to another notebook system.) I use the front pages for the following: yearly calendar print out (1 page), monthly plan pages (24 pages), and daily bullet journal. I use the back pages for my random notes, information, etc. 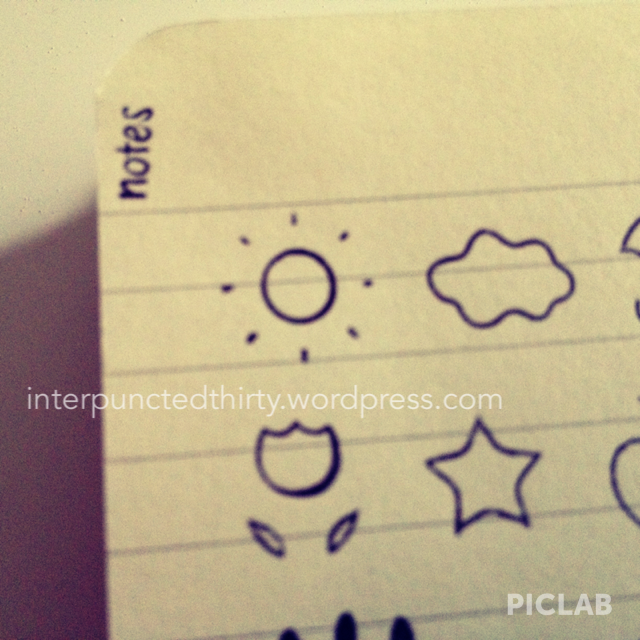 The original bullet journal uses an index system, which I find tedious with having to number pages and then go back to add the items to the index. 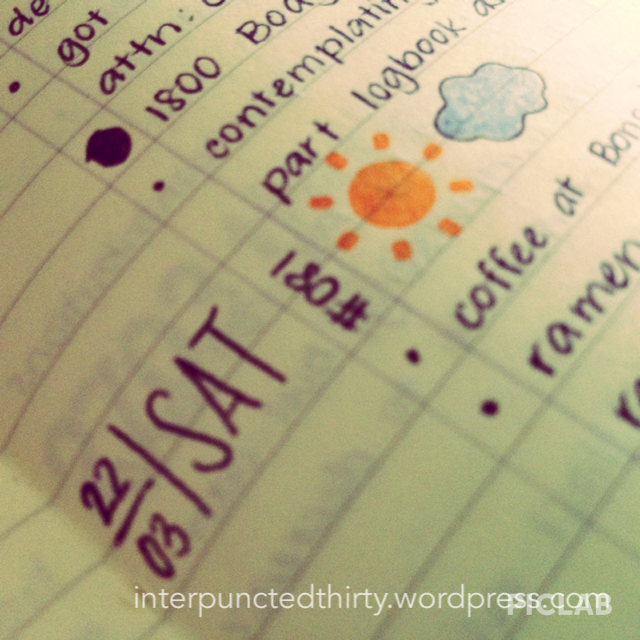 I use my monthly pages as a place where I can capture EVERYTHING – well, mainly tasks and events. The monthly pages were my way of doing away with the index and still having some sort of referencing system. For events, I will place the date for that month in the margin – e.g. 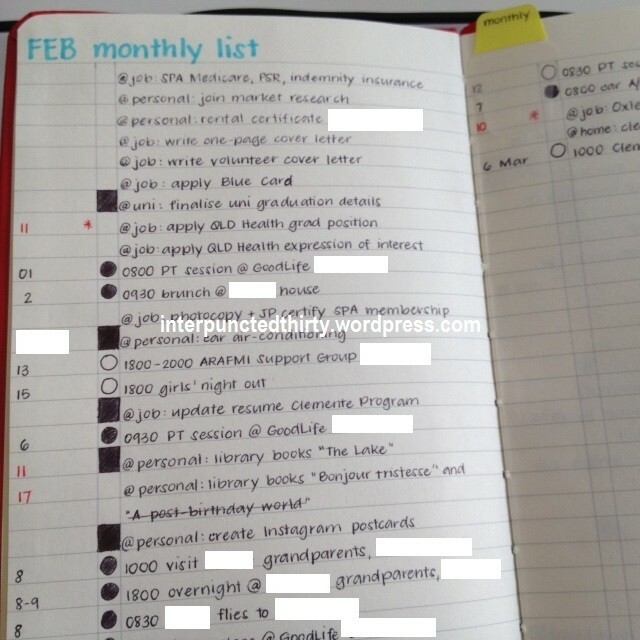 for February 6 I had a PT session, so I’ll write the event and then the date in the margin – and then when February 6 comes up during my daily bullet journalling, I can refer to the margin and locate February 6 events and tasks, then list accordingly. Some tasks don’t have a date attached to it, so when I plan for the next day, I write that date in the margin and then allocate to daily bullet journalling pages. This is what’s worked for me so far and has really helped me with planning for the following day. This is an example of my daily pages in February. I’ve added what I call a ‘continuation arrow’ at the bottom of the page if my tasks don’t all fit onto the one page, and I need to remind myself to turn the page for more tasks/events for that day. I bought a stencil from Daiso a few weeks ago and use that for my title pages for my monthly pages. I had only pencilled the title pages in, knowing full well that I’ll be changing my mind haha! The stencil also had some super cute weather patterns, so I’ve started doing that, too. This is also mainly because I’ve transferred my logbook into my bullet journal as well. This is the modified version of it, and I’m really missing the grid paper. I may have seen something similar to this awhile back from someone else’s blog, so please, if you’re reading this, let me know and I’ll credit your idea in my post (thanks in advance!). 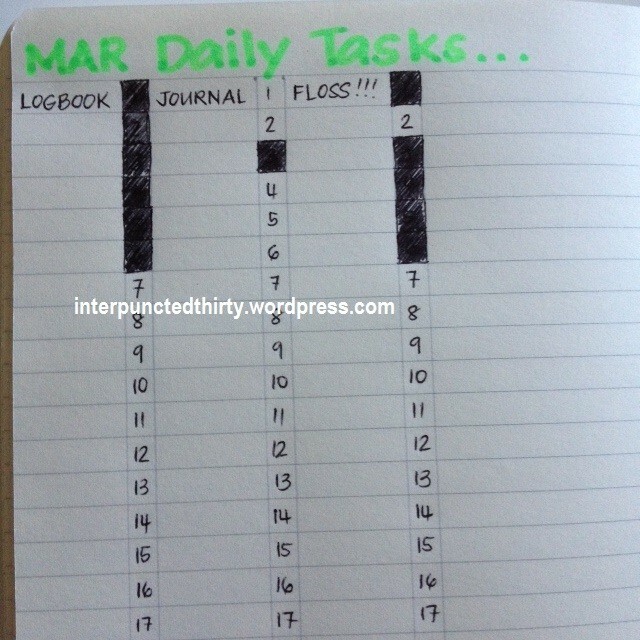 I’m going to just add some more columns next to this for April daily tasks(habits). Argh, really wish I had grid paper for this, but oh well! Lastly, my notes section at the back of the book doesn’t really have much order to it. I like to write on the top corner one word to describe what it’s about, and if there’s a lot of pages I need to refer to, then I use the origami bookmarking, otherwise, it’s fairly free flowing. 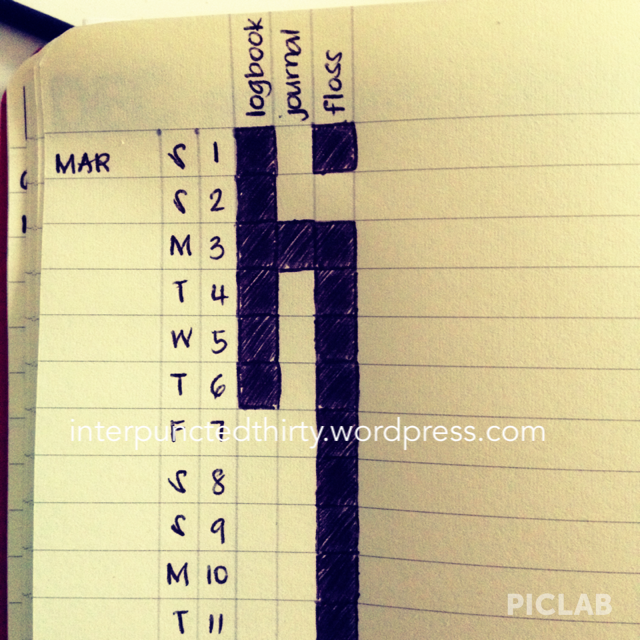 When I first started bullet journalling, my main qualm about it was that it didn’t allow for me to forward plan. I tend to use my iPhone calendar to keep tabs of events because it allows me to share these events with other people who are invited. I do, however, also like to keep these events written somewhere, hence why I have the monthly pages at the front of my book. 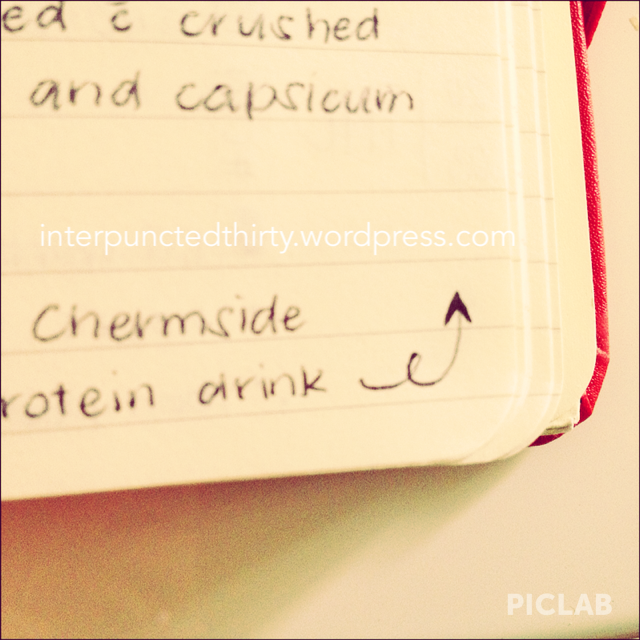 I don’t use the Chronodex system or the DIYFish colour indexing anymore. I’ve gone for a completely minimal organising system (plus, my bag gets too heavy during the day). I literally carry around my bullet journal, a black InkJoy pen, and a cheap red pen. I have a foldable ruler, a grey Staedtler triplus fineliner, some highlighters, and my Daiso stencils on my bedside table for next day planning. Minimal materials means less to worry about and clearer focus – at least that’s what it means to me. This is stunning, and I love how simple it is. Will be trying it immediately! Thanks Helen :) Let me know how you go! I found your blog through John Cooper and I love it. I learned quite abit about the Bullet Journal and adapted mine to be more like yours. I just put in the slots for the Daily Tasks, such a great idea I can now track when I practice calligraphy and to make sure I read everyday (or try to). Als Ergänzung zur gestrigen Vorstellung des Bullet Journals, hier ein paar pfiffige Erweiterungen. I love the stencils you used? Can I buy these stencils online? Hi Daisy! I’m not sure. You can always go onto the Daiso website and have a look. This is brilliant! I’m always looking for better ways to keep track of my work/life. I think I may attempt to adopt this method of planning. Also, beautiful handwriting! Thank you :) hope it works for you! What does the number next to the date signify? For example, #081 or #145. Thanks Dana! The number is the day number. Thank you. I’m so excited to get started. You’re welcome. Let me know how you go :) there’s is also a Bullet Journal Junkies FB group that has loads of resources. Good luck! I found the Bullet Journal FB group this morning. Great resource. Thank you again! Have a great day. Thank you for all your partage! I just decide to begin with Bullet Journal because GTD don’t good for me… I just have a question : you have 2 bullet journal : a personal and a professional one. What is the size of the both? Do you take them in the same Midori? Excuse my langage please, I am french and thank you very much! Which hobonichi do you use? I want to try and buy one :) do you have a link. I thought it was the planner but I’m not sure p.s you should definitely do a video. I would watch it over and over. Hey Dee it’s John from johncooper.me Just wanted to let you know my site is migrating to johnjosephcooper.com so the link you have in this article will be broken. I would love to work with you to resolve it. Hey John no worries! Send me an email when it’s fully migrated and I’ll do a quick change over. hey there, would it be possible for a favor, I was wondering if you could buy be The daiso stencil that you have, I live in washington DC and sadly I cant find that? is it possible. Hey Kirti, there’s a stencil at my Daiso. Happy to send it to you. It’ll be coming from Australia so it might take a few weeks to get to you. Email me your details at dozmtz@gmail.com cheers! Hi Kirti, thought I’d check to see if you still wanted this stencil? I haven’t heard from you since you posted on my blog. I’ll keep it until Fri 13 June, so let me know. hey there, sorry for the no reply, I moved to Lima, Peru, however my hubby is still in USA, I will email you the address. Thank you so very much. the move went well, I hope you got my email. I love how you did this. I think the non grid paper looks great, to me. I am sure it makes it hard to have a tracker but your daily pages look amazing. Do you know if that stencil is still available? What is the online store for the daiso stencil & what is it called?!? I’m trying/dying to find one. Thanks in advance! Please email me the info if you can. Hi Rachel I’m not sure that the online Daiso has this stencil. I’m in Australia and bought it from the Brisbane city store. I’ve seen it being sold on Etsy once before maybe a month ago but I don’t think it has an actual item name. Sorry I can’t be more of a help. I’ll keep an eye out for it and post a link up here if I come across is anywhere else online. Hi Dee, been reading through your blog since my last comment.. I attempted bullet journaling for about a week, I think it was bothersome to have the index and page numbers and yes, i really didn’t like how it doesn’t allow for future planning because for me, isn’t that the whole point of planning? (as a workaround i could probably pencil tentative dates/appointments for it will be allocated) also I wanted to explore here, how do you arrange your pages? 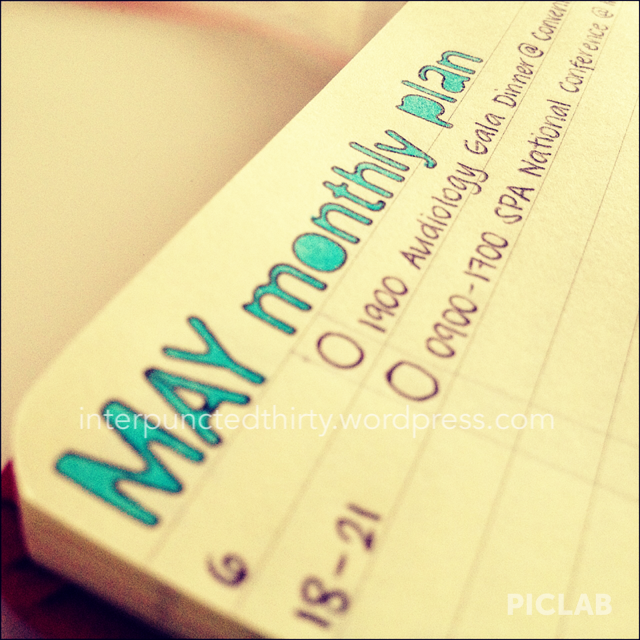 first the monthly calendar, then the monthly tasks, then the monthly daily tracker and then daily pages? So anyway, after trying the bullet journal and finding i couldn’t plan any better than my usual reminder/task on the phone system, I’ve switched over to DIYFish inserts for the Midori format for this week to try. I love the visual calendar, there is a weekly view (so you can allocate events/appointments) and there’s both a monthly chart and a weekly chart to track tasks (i use it to track my journalling, exercise, blogging days etc), a ___ planner (which is another weekly format which i use for the detailed blogging notes) and next to it, a ___ list (which I use for bullet journal style brain dump list – although there is not enough space for possible dates or other signifiers). There are also daily pages where I can have more control over my 24 hrs in a day planning, track my water intake and lots of space to doodle or random notes. (Its a little too much space for someone who doesn’t have ANY planning experience so i really don’t know yet what to do with them). And maybe I can learn how you use your system in the DIYFish format.. It sounds like you’re really loving exploring your planning options, and it’s always great to hear/read about people’s own planner journeys. What other systems have you tried so far? What have you liked/disliked about them?